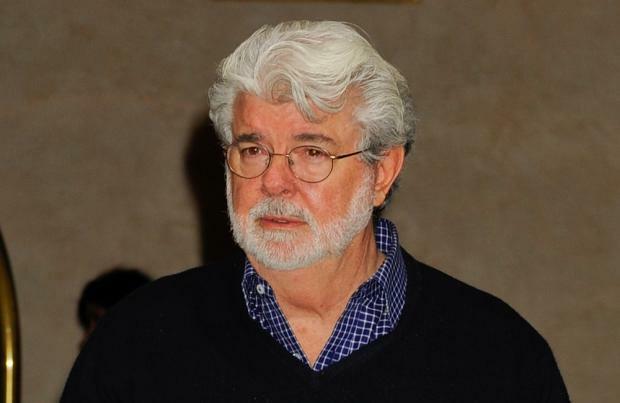 George Lucas "hasn't seen" the latest 'Star Wars' trailer. The 70-year-old director may have created the space opera but since selling his franchise to Disney in 2012, he has yet to catch up on the newest instalment. Referring to the promo film for 'Star Wars: Episode VII - The Force Awakens', George explained: "I don't know anything about it. I haven't seen it yet." When asked why he has so far refrained from watching the clip, which has been viewed more than 72 million times on YouTube, he told the New York Daily Post newspaper: "Because it's not in the movie theater. I like going to the movies and watching the whole thing there. "I plan to see it when it's released." The trailer for the movie, which has been directed and written by J.J. Abrams, features a new lightsaber and the Millennium Falcon spaceship. Due out in cinemas from December 2015, the new film stars Carrie Fisher as Princess Leia, Harrison Ford as Hans Solo and Mark Hamill will reprise his role as Luke Skywalker. In October, Jett Lucas - George's son - explained how his father was still very much involved in the 'Star Wars' process. He told the website Flicks and the City: "He's constantly talking to JJ. "Obviously JJ was handpicked. He is there to guide, whenever, he'll help where he can. At the same time, he wants to let it go and become its new generation."